Pantalica is a sort of secret treasure of ancient Italy. In the most general terms it has an ancient imperial necropolis, which is unique in nature. This Italian place, Pantalica is located in southeastern Sicily, near Syracuse. 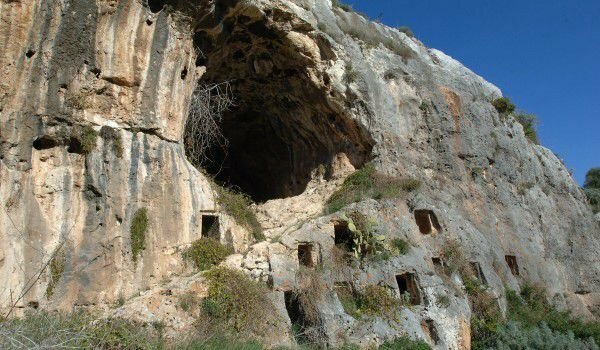 This ancient tomb is located in the valley of the rivers Anapo and Calcinara, which merge into a massive limestone gorge and crossed the high hills of Monti Ibelei. Along the tomb you can go on the road between the towns Ferla and Sortino. The only way to see the amazing natural places there is traveling by car or bus which you can get from Ferla or Syracuse. Because Pantalica represents Syracuse, it was entered in the list of World Heritage of UNESCO. The vast necropolis of Pantalica consists of 5000 tombs, which are dug in the limestone rocks. These tombs were built between 13th and 8th century BC. Later, during the Byzantine Empire, the rock caves were used by refugees. They continued to work in the limestone, while carrying the rock blocks nearby. Their goal was to elevate the church of San Micidario. There are two ways to reach Pantalica. One is easy and one is difficult, but on behalf of that is far more picturesque. The first is coming from Sortino and can offer a unique view of the clear pool of the river Calchinara. It is located just before it merges with Anapa. The place where these two waters flow into one another is the most wonderful and picturesque part of the gorge. Further on the gorge becomes wider around it and remains with the citrus orchards, olive groves and walnut trees. The second way to get to Pantalica is from the picturesque road from Ferla, which is a bit surrounded. Before the end of the path reaches the abyss, it splits into a more of a trail as it can descend down to Anaktoron. This is an ancient Sicilian capital of local residents, who were led by Hiblon, king of Siculus. Nearby is also the essence of Pantalica that looks as if it comes from another dimension.